TfL has announced it is moving forward with plans to build a 7km cycle route through Kensington Olympia, Hammersmith and Brentford — the same route, which was previously decried by a local priest. In 2017, the Standard reported on Father Michael Dunne — parish priest at Our Lady of Grace and St Edward and St Dunstan's Gunnersbury — denouncing plans for Cycle Superhighway 9 (CS9) as 'more damaging than the Luftwaffe', and urging his congregation to pray against it. But tweaks now made by TfL — including retaining space for pedestrians outside Dunne's church — have won the priest over. TfL has listened to the church community and in their revising proposals for the cycle route made very significant changes conscientiously and adequately addressing concerns both for the safety of church-goers and other pedestrians and the impeding of the practice of the faith. 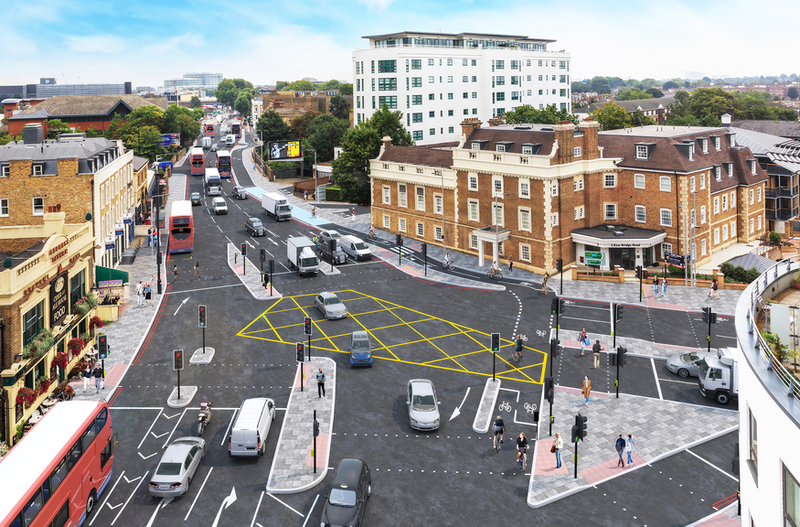 If the cycle lane cannot be re-routed away from Chiswick High Road altogether, TfL has proved to me that engaging in the consultation brings changes which benefit the community. 5,000 people got involved in the initial consultations, of which 60% either support or strongly supporting the proposals. "Many [say] the scheme would have a positive impact on cycling and walking in the area, as well as improving provision for buses," says TfL. A public consultation on the revised designs is now open until 26 February 2019. Everything being well, construction of Cycle Superhighway 9 will begin later in 2019. Oddly enough, there was a time in the 1930s when London's cyclists actively protested against segregated cycle lanes.